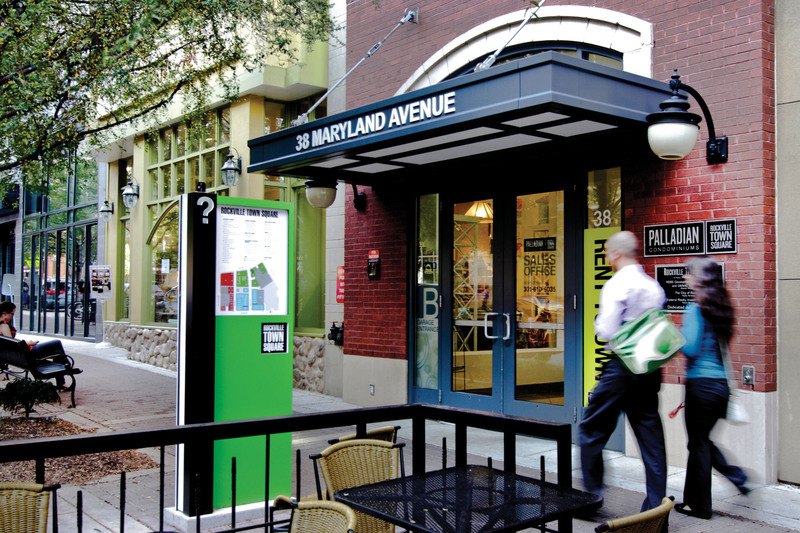 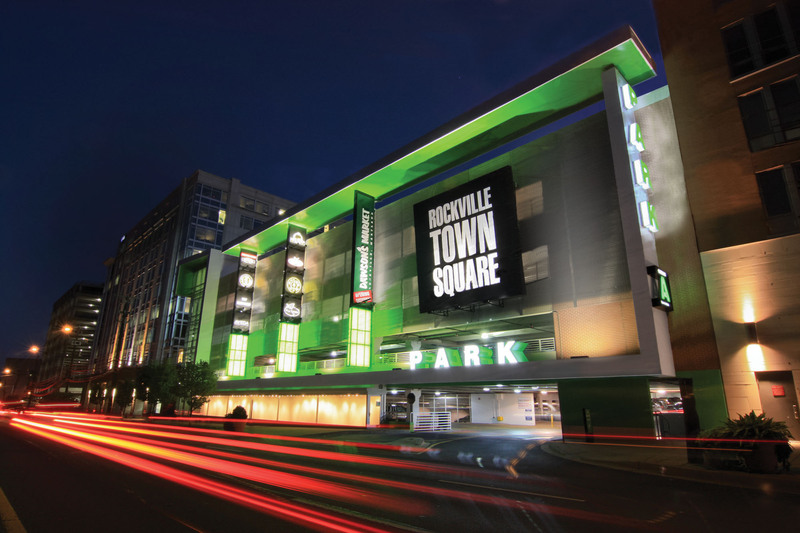 Our design approach for Rockville Town Square reinvigorates this urban space in a way that maintains the surrounding community aesthetic while conveying a fresh and instantly recognizable new identity and wayfinding system. 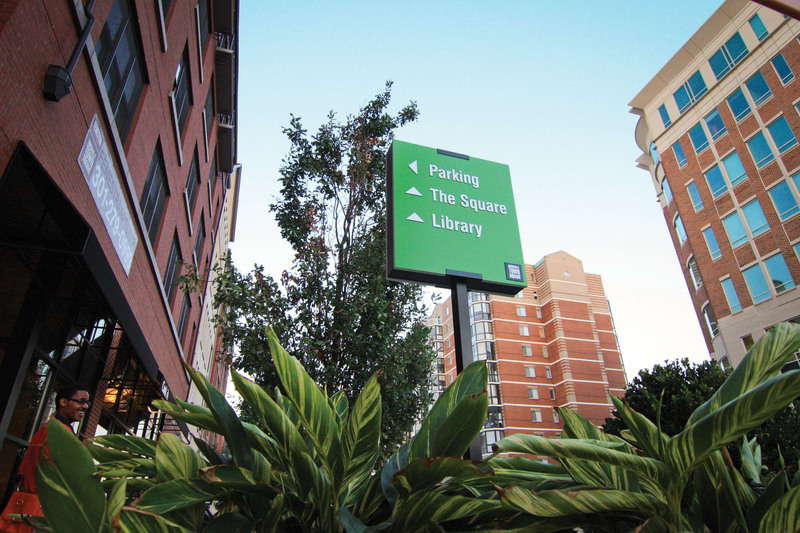 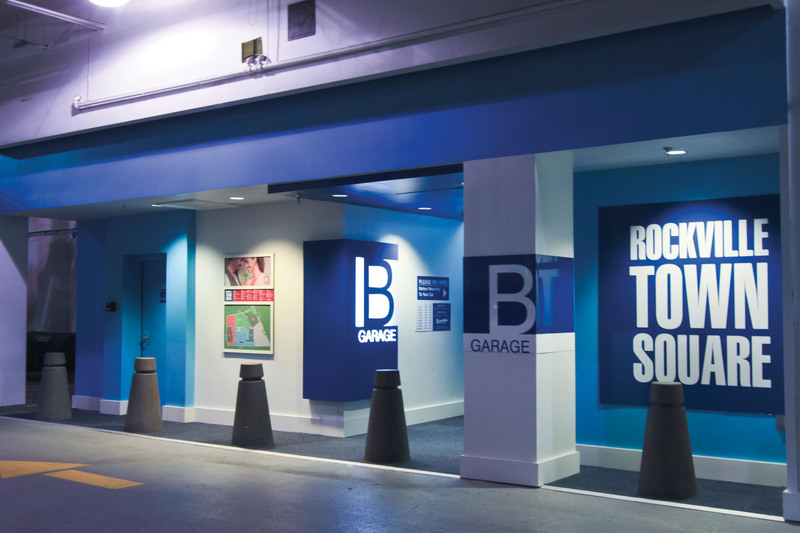 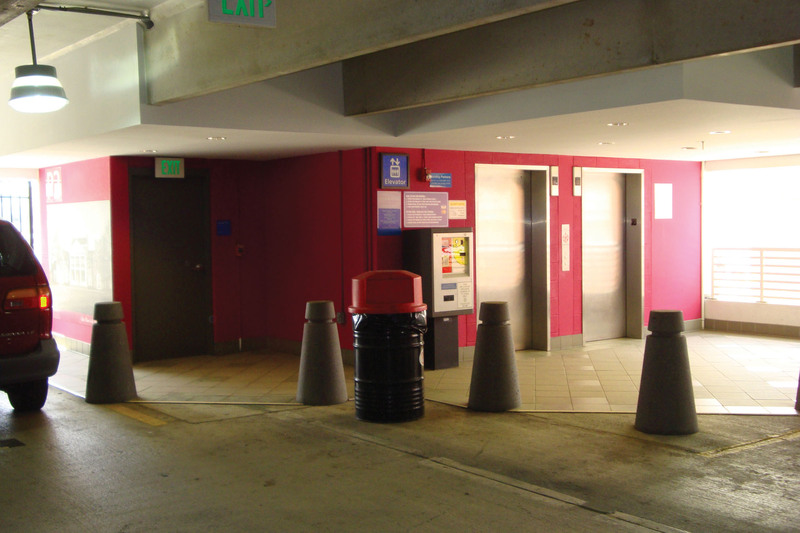 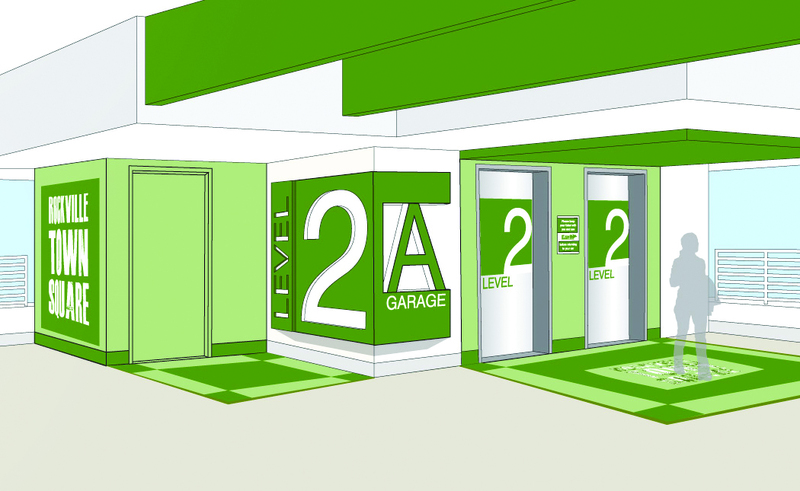 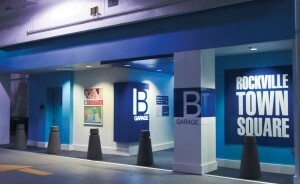 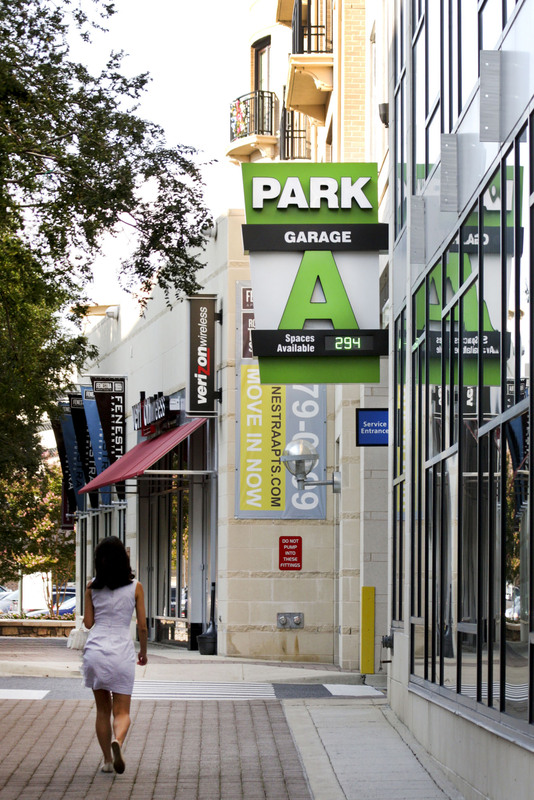 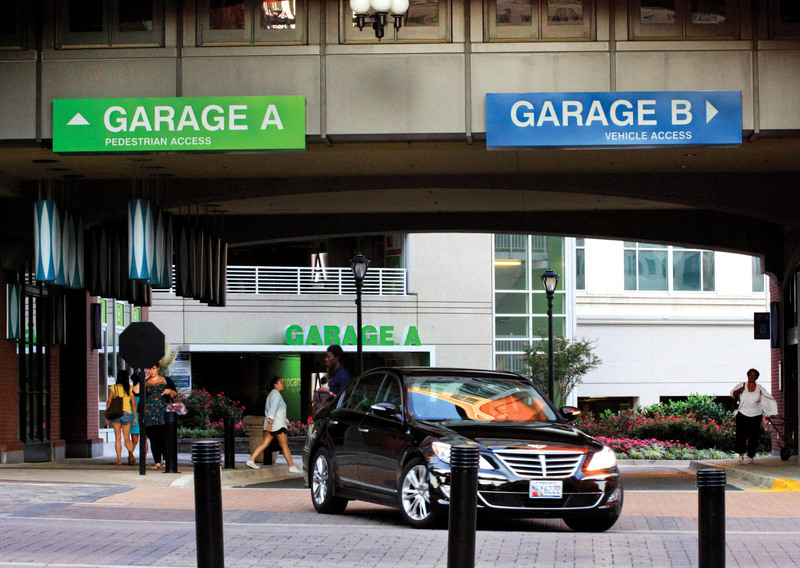 The new signage, graphics and architectural parking garage enhancements are part of a bold facelift to draw attention from an adjacent road and increase wayfinding effectiveness for customers while highlighting project tenants. 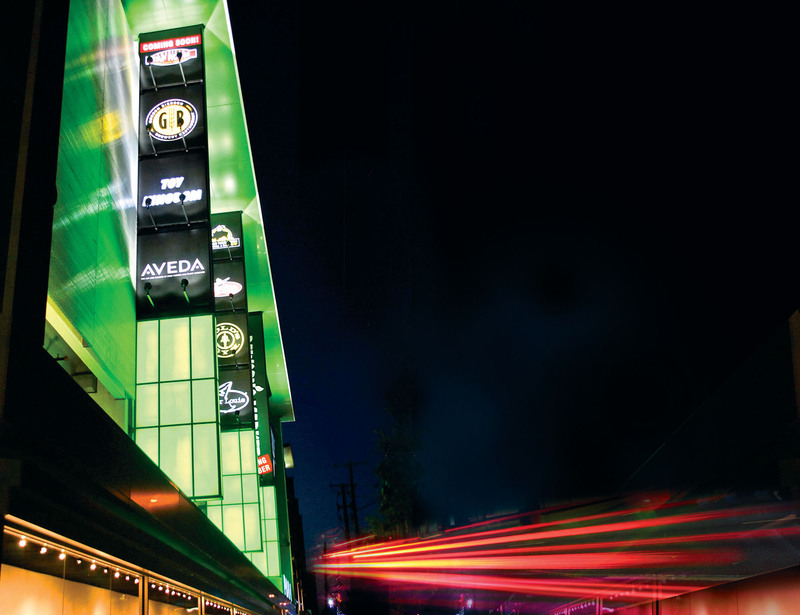 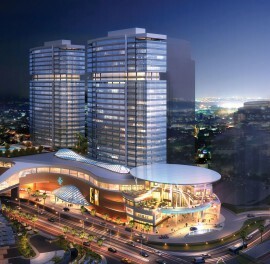 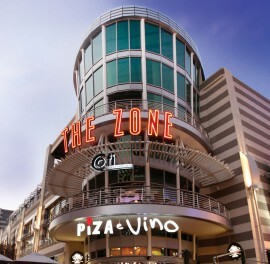 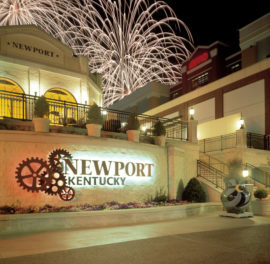 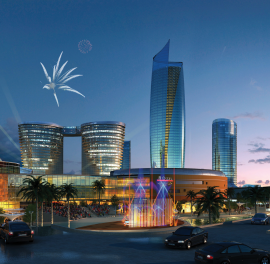 The contemporary signage system reflects the energy and vibrant atmosphere of the town center. 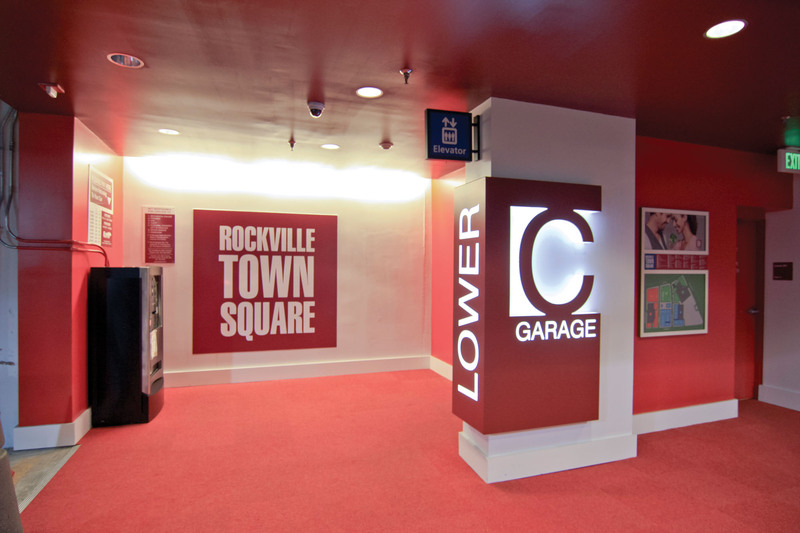 Recognizing the importance of revitalization and environmental graphics can help to redefine a space and ultimately improve performance.